For many years, Saint Peter's parish has been blessed with group of dedicated Altar Servers. Any person who has made their First Holy Communion is eligible to become an Altar Server. After a period of 12 months continual service, they are enrolled into the Guild of St Stephen. There is no maximum age requirement. 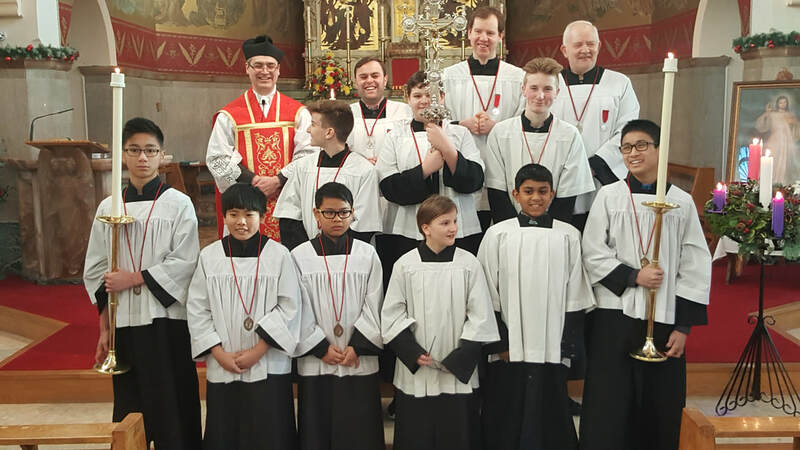 For further information about the Guild of Saint Stephen, and becoming an Altar Server, please contact Fr David or speak with the Senior Master of Ceremonies, George Pitt. ​We abide by the Safeguarding Policies of the Archdiocese of Birmingham. Please CLICK HERE for more information. Saint Stephen was chosen as the patron of Altar Servers because he was a dedicated servant in the early Church and gave his life for his belief in Christ. The members of the Guild of Saint Stephen serve each Saturday and Sunday at Mass, and sometimes during the week. On St. Stephens's Day the Altar Servers re-made their promises. 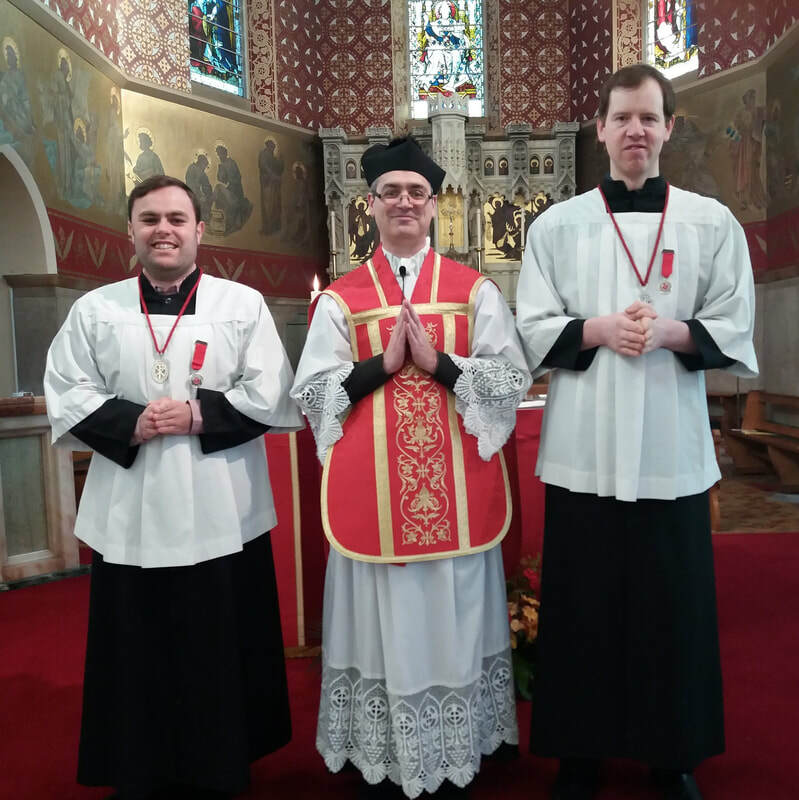 In addition, Andrew Wyre and Daniel Lloyd received their Silver Medals for 20 years of service to the Altar. The medals were presented by George Pitt, Senior Master of Ceremonies.